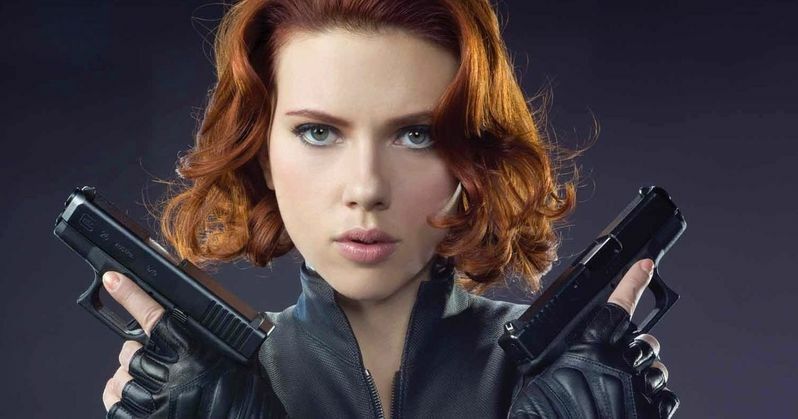 Black Widow Movie Planned for Marvel Phase 4? Many fans were disappointed to hear that Captain Marvel would be the first solo female superhero adventure coming from Marvel Studios and Disney. Only because Black Widow seemed more deserving of the release date slot. But don't worry, it's not a slight on Scarlett Johansson's character. This is all part of the grand scheme laid out by Marvel Studios, and if everything goes according to plan, Black Widow should get her own solo movie in the near future. Though, it most likely won't be happening in Phase 3. There is no doubt that Black Widow is one of the most interesting characters currently featured in the MCU. And while we've seen some of her exciting backstory revealed in Avengers: Age of Ultron, there is plenty more left to tell. So far, she has played second fiddle to heavy hitters Captain America and Iron Man, and she'll be even more on the peripheral in Captain America: Civil War. Still, she remains one of the most talked about and beloved characters in these movies. Marvel head honcho Kevin Feige knows this. And claims that a Black Widow movie is still very much possible. Black Widow was first introduced in 2010's Iron Man 2. She later returned in Marvel's The Avengers in 2012, and had a co-starring role in 2014's Captain America: The Winter Soldier. She then made her latest appearance in Avengers: Age of Ultron. She is one of the few Avengers who does not have superpowers, which makes her even more vulnerable and fun to explore. But over the course of three phases her solo adventure has failed to materialize. With fans calling out for more female driven superhero movies and action thrillers, it truly is a head scratcher why Scarlett Johansson hasn't been given her own movie yet. It definitely isn't on the fast track. Speaking at a press day for Captain America: Civil War, Kevin Feige discussed some of Marvel Studios' plans post-Avengers: Infinity War. And once again, he's teasing the possibility of a Black Widow standalone feature. He states the following. "Yes, for sure, I think [Black] Widow at some point would be great. But when you start talking about things that are now four/five years away...Sometimes we do that. Doctor Strange has been talked about for ten years. But we're focused on the next nine movies, which is a lot, between now and 2019." So, if it does happen, we won't see Black Widow by herself until at least 2020. But that shouldn't upset fans too bad. It's not like she won't have a presence on the big screen in the next five years. After Captain America: Civil War, Scarlett Johansson will move directly into Avengers: Infinity War Part I. And with a solo movie being teased, it sounds likely that she'll resurface in Avengers: Infinity War - Part II as well. She may even show up in 2017's Spider-Man, which is confirmed to feature a number of Marvel Studios characters. What do you think? Is it beyond time that we saw Black Widow get her own movie? Or is it moot at this point? Sound off in the comments below.